The insurance idea would have appeared on the occasion of the first great journey by boat, and the appearance of "modern" insurance is generally dated from the 19th century. The principle of insurance is easy to understand : if accidents are rare (compared to the number of occurrences - travel, car trips, etc. ), a simple and prudent idea then is to "put aside" a certain amount of money for each occurrence (which on average does not lead to an accident) and to use the money to repay the cost of the claim in case (rare) of accident. One could imagine that individuals manage themselves each a "pot" of this type. Of course, even if an accident is rare, you never know when it happens and it may happen at any beginning of the process so that the pot is almost empty. We could then easily make a common pot between several people, to smooth it : if three people make a common pot, it is unlikely that the three have an accident while starting hoarding. But... it is anyway possible. Although if the pot is conceived with hundreds of thousands of people there, you secure the problem of "instant" of the accident. This is the « law of large numbers », which allows a deterministic modeling of chance : the odds. It remains to define the amount of money to set aside each month for example (or each travel). To handle this (a pot shared by hundreds of thousands of contributors, the estimated sum to put aside, etc...), it is obvious that it is necessary to have qualified personnel, sufficient... and finally, it happens naturally to the idea of the Insurance Company. The insurer has hundreds of thousands or even millions of policyholders, and smooth the sinister occurrences thanks to the law of large numbers. He is responsible for ensuring that claims even exceptionally expensive will be refunded. NB: in the case of home insurance, a natural disaster on a large area can resynchronize the claims despite the large number of insured people... the insurance company then would better spread in different territories and / or to associate with other insurance companies operating on other territories to make quite impossible synchronization of claims. The forecast of the number of potential accidents on territory and over a given period is referred to as the "Risk". In French as a first approximation we see the term "risk" roughly coincides with the idea of « probability ». If a loss is probable, the insurer takes more risk than if the disaster is unlikely. But that's not all : if one has a probability X had an accident but that the loss really cost cheap, it will be considered, always in natural language, that the risk taken by the insurer is less important than if the probability is still X (the same) but with sinister potentially costing much more ! For example, assume that the probability of burglary of an apartment is always the same (neglecting the Protections effect), then it is more risky to insure an apartment featuring original works by Picasso than apartment emblazoned with photo reproductions of works by Picasso. The probability is the same, but when the burglary applicable, the amount refunded is very different. What emerges very intuitively is an entity that is the multiplcation of likelihood by cost of the disaster. Generally, a numerous population does not lead to a homogeneous risk : someone who lives on top of a rock python have less chance to get 1m of water in his/her house than someone who lives at sea level or in the bed of a river. The insurer's interest is to achieve groups (segments) of people who have homogeneous risk. Please note, as the risk is linked to the idea of probability, it is a value which is estimated by statistics... However, claims(housing, car accidents, plane crashes, etc...) are rare (and thankfully), so the statistics are long to make and complex to interpret as for long periods, many parameters may vary (other parameters than one that interests us). This means that the well-known hypothesis statisticians "all things being equal" is rarely verified. Similarly, groups can not be based on discriminatory or racist sort variables. We saw in France the example of insurance cheaper for women than for men who have been banned. Indeed, in this case, men doing more km that women, on average, it is normal that they have more accidents. All discriminatory interpretations are only belief and fake psychology. Such segmentation may instead be reformulated by charging differently depending on the number of traveled km (which is called "pay as you drive", see following chapters). This remark felt the need to better understand the behavior and usage of policyholders, factually. measuring factual uses and instant individual risk Technology now allows to integrate in a vehicle telematics device (communicating electronics) that may inform insurer of every events happening to the vehicle. The first telematics applications were built around geolocation, especially to retrieve stolen vehicles and then, by extension, to optimize fleet operations professional. Afterwards, applications have integrated accelerometers (processing of signals from accelerometers) to estimate exhaust of vehicles due to driving style, and next, to estimate fuel consumption (and therefore CO2 and pollutants emissions). The major pure players in the automotive telematics are mostly electronics companies, installation garages, and experts of fleets monitoring (Real-time editing performance parameters of a fleet, in the form of dashboards for the fleet manager). For insurers, vehicle telematics allows to know the usages : number of traveled kilometers, type of use (short trips, long trips, in urban, rural, highways, etc...). This kowledge is used then to develop a new offer of insurance called "pay as you drive". The interest of telematics is that factual and individual aspect can be calculated, if desired, and lead to an ad hoc fee for a driver, instead of assign him the price of the segment which he or she belongs. In practice, insurers still mostly work on segments, as individual fees are complex to communicate (depends on the country) but the segments are more accurate. The accelerometer lets you know if the driver drives in a smooth or brutal manner, and the coupling of the accelerometer with GPS allows to know the actual speeds. This gave the idea to the experts of onboard telematics to tackle the risk estimation / risk assessment (linked to customer driving behavior). But the risk of accident and its assessment is a breakthrough in terms of data processing complexity : it is strictly not possible (unfortunately) to estimate a risk of accident by using, for a given individual, statistics and / or deep learning methods, and unlike anything recount hundreds of contacts that come to appoint experts on the subject. This impossibility is due to theoretical issues, it is then futile to try to circumvent them. Some reasons : . accident is a very rare event (on average, a driver has an accident every 70 000 km): and rare events are not well observed by the use of statistics and deep learning. Of course, one can aggregate data from a large population, over a large duration, and a large territory, and do statistics, but when one try to focus on one individual in a specific location at a specific time, there is not enough data to edit robust and significant statstics. . accident is unexplainable BY DEFINITION (in the dictionary accident "happens by chance"). It takes many factors aligned for the accident to occur (hence its rarity), and even when these factors are present, the accident may not happen, it happens randomly in that rare case where it is possbile. When a factor is not present, the accident does not occur. This means that at the individual level, there is no gradualness or regularity in the data, which makes them absolutely unsuitable for any analysis (including automated methods of deep learning). It is a phenomenon that mathematicians call "parsimonious and random process". The scoring methods are inaplicables. When they seem to work (sometimes one can read that a company have built scores that show "some correlations" with risk) it is simply that one have tested these scores on 4 a small data base. Just test it longer on more data and you will find that the correlations collapse. For these reasons, estimation of individual risk of driving is a real rupture of complexity, which is why telematics experts are currently facing a wall : a lot of tests, no massive deployment (after 2 to 5 years of test). 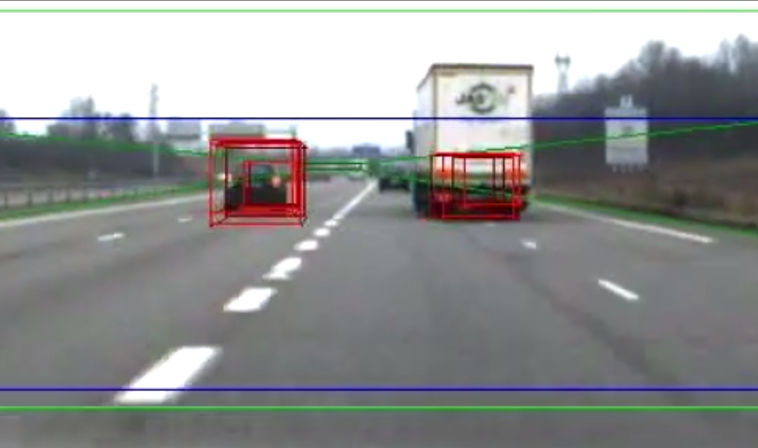 The company NEXYAD has been studying accident for 15 years through French collaborative research programs and is now able to estimate the risk taken by the driver. Those research included working in contact with experts (those who make the roads, those who study one by one serious accidents, psychologists, etc.) : mainly PREDIT national research programs. 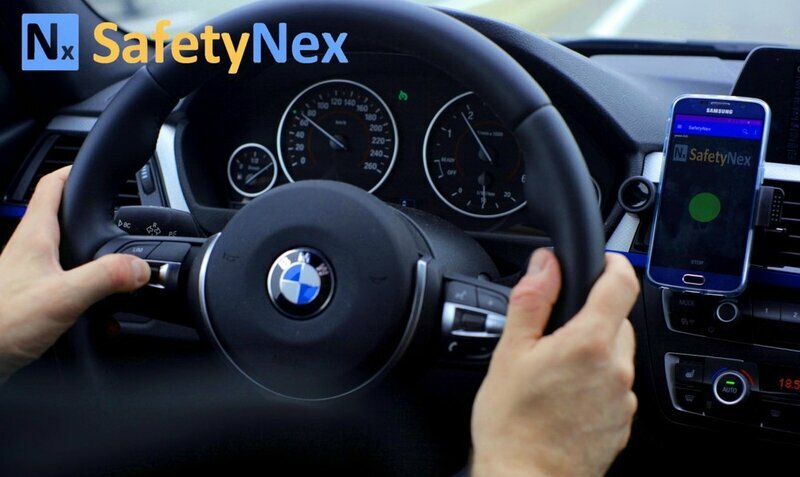 This work led to the development of the software SafetyNex, available as an App for smartphones, that gives in real time the risk taken by the driver seen as a measure of the possibility level of "near accident" (a key concept for research in road safety). This software SafetyNex, is not based on observation of a database, for the reasons explained above, but on expert knowledge. It has been validated on 50 million km. This means that the insurer have now a tool that provides the histograms (profile) of risk and every contingency tables with usages (km, kind of infrastructure, day/night, etc …). SafetyNex is a major development that can help the insurer to change its business and strategy. Commentaires sur Deep changes in the business of car insurance. Contribution of smartphone App SafetyNex in this global context.